Put yourself at ease. Watch our informative videos, get the facts about kids and contacts, learn about 1-DAY ACUVUE® MOIST® Brand and new 1-DAY ACUVUE® MOIST® Brand for ASTIGMATISM — the most convenient ways for children to wear contact lenses — and see why eye doctors trust ACUVUE® Brand the most. 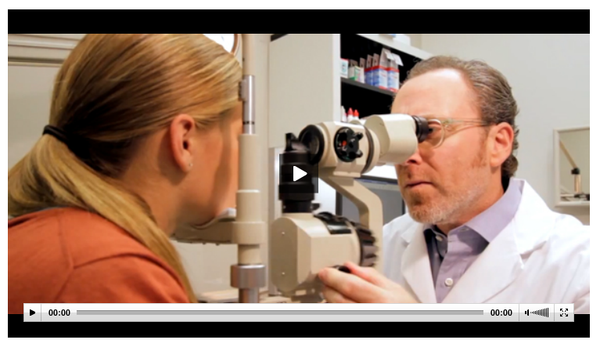 Dr. Harvey Moscot addresses parent’s concerns about kids and contacts. He explains why contact lenses can be a healthy option for teens and describes the many benefits of wearing contacts, including ACUVUE® Brand Contact Lenses. He also discusses what teens need to know about lenses, debunks common myths, and more. ACUVUE®, 1-DAY ACUVUE® MOIST®, LACREON®, STEREO PRECISION TECHNOLOGY™, BLINK STABILIZED™, are trademarks of Johnson & Johnson Vision Care, Inc.
© Johnson & Johnson Vision Care, Inc. 2013.